Spots and Dots: I'm so excited! Thank you so much for checking out my blog and following me! Being The Queen Bee isn't easy! Wow, that was a lot harder than I ever thought it would be! I did discover some awesome new blogs though! Well, I have to get to work on my Reading class. :( What time off? 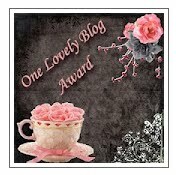 Hi Sandy, Hope you had lots of fun finding the blogs to award! It took me a while to do it but I really had fun finding them! So glad I found yours!